What is the Red Hat Society? 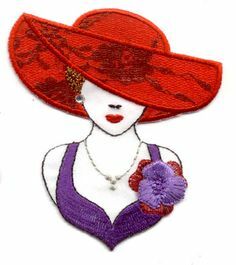 The Red Hat Society (RHS) is the largest international social organisation for women, dedicated to making the world a better place for our members by actively promoting and supporting fun, friendship, freedom, fulfillment and fitness for each individual, as well as demonstrating the value and contributions of women to society. The RHS is a place where women are royalty every day, a place where women open their hearts to share, support and care for one another and a place where fun reigns supreme. The RHS was founded in the United States on 25th April 1998 by Sue Ellen Cooper and is based on the poem 'Warning' by Jenny Joseph. After the age of 50 we wear red hats and purple clothing. Any ladies under the age of 50 wear pink hats and lavender clothing. We all, however, wear a smile and we all look forward to making lasting friendships!